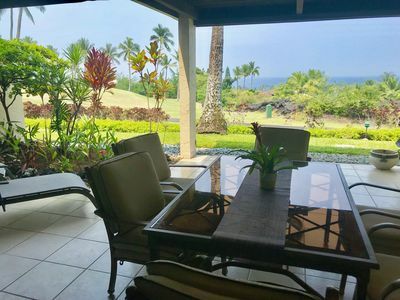 This conveniently located unit is on the ground floor, looking out onto the 15th hole of the Kona Country Club golf course. 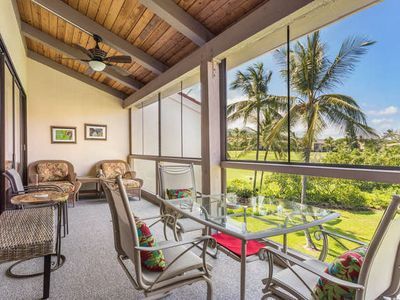 Open floor plan, with lanai opening onto the greenbelt. 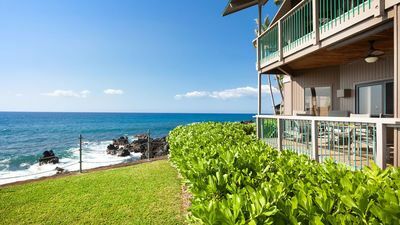 Only 15 steps from your parking stall, 25 steps to the pool, and 35 to the workout room, there is no other unit with this combination of view and convenience. 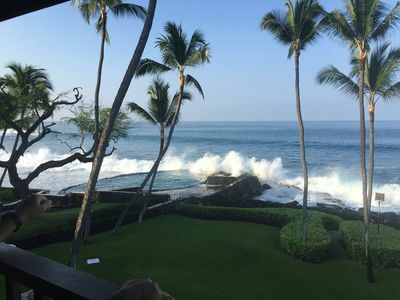 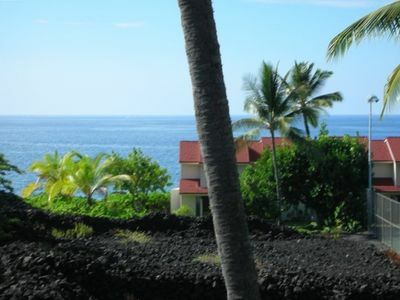 Only a short 2 block walk from Keauhou Bay and a small County Beach Park where you can enjoy almost any kind of ocean activity. 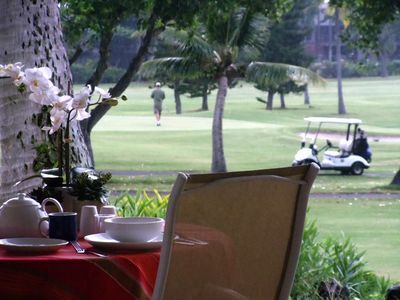 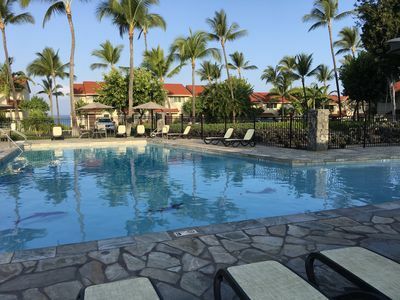 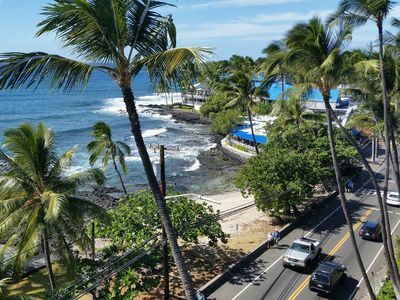 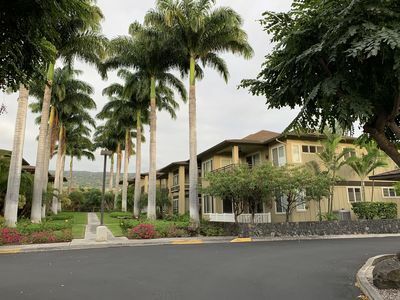 Only 3 blocks from the Keauhou Shopping Center where most of your general needs can be met. 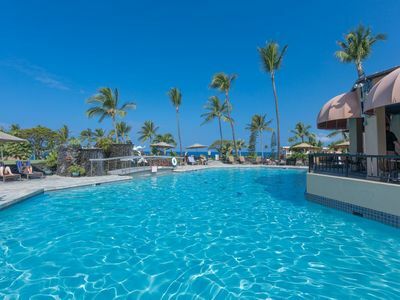 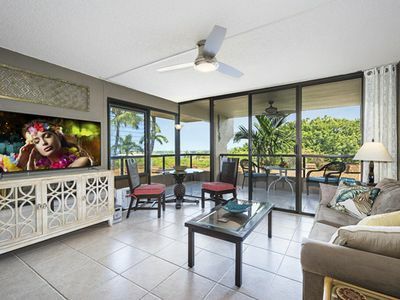 The unit is newly renovated, upgraded stainless appliances with a huge double drawer/double door fridge, easy to maintain wood-grained tile flooring throughout the unit and lanai. 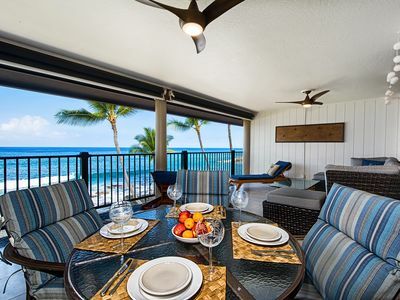 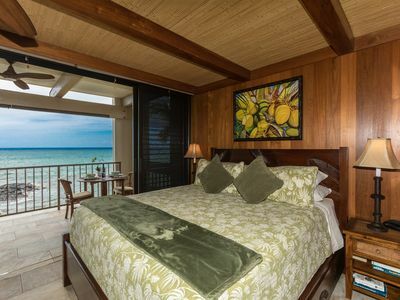 New ceiling fans in each living space, resort style furnishing and themed art gives you the comfortable and beautiful environment for a peaceful and memorable stay on the Big Island. 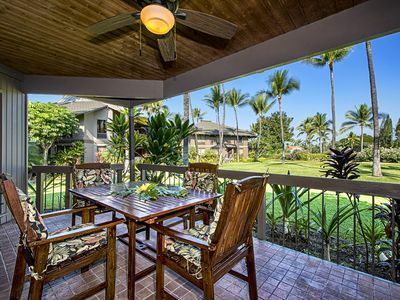 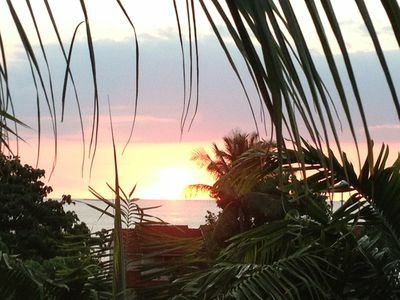 Oversized condo with A/C located in the Picturesque Kanaloa Complex! 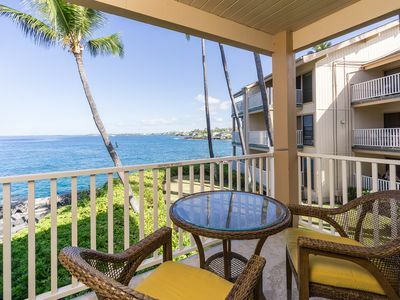 In the heart of the village, the ocean at your doorstep. 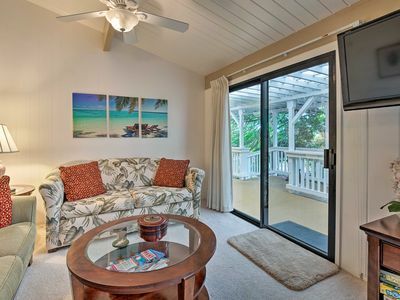 Beautiful Golf Course View Condo with Loft! 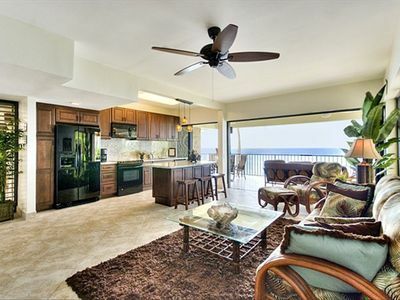 NEW Vacation Rental!